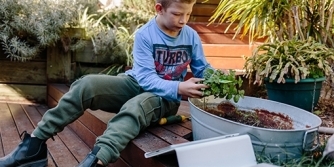 With the Connect to Computer backup method, you can transfer and save a Proloquo2Go backup file to your computer using WiFi. 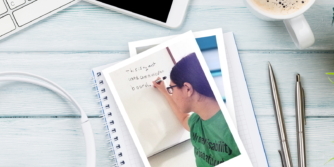 Both the device and computer must be connected to the same network. In the top right corner of Options, tap Start. You will now see an address with a string of numbers. You will need to keep Proloquo2Go open with this address showing until you have saved the backup. 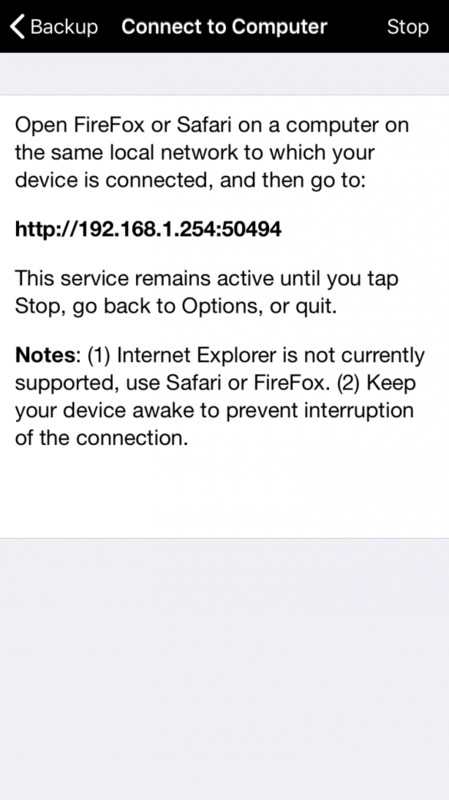 If your device goes to sleep partway through, the connection will break and you will need to start over. On your computer, open the Safari or Firefox browser. In the address bar, type the address starting with http:// that you see in Proloquo2Go. If you have used Connect to Computer before, don’t let your browser auto-complete the address. The last five numbers change every time you start a new Connect to Computer session. Wait for the web page page to load. Scroll down the list of backups. Find the backup you want to save in the list and click it. Choose where on your computer you want to save the backup. In some cases, your browser will automatically save it to a Downloads folder. 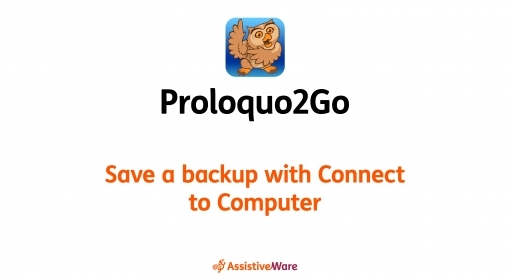 Once you have finished saving the backup, return to Proloquo2Go on your device. Tap Stop to end the Connect to Computer session.